I have always loved chalkboards and these days chalkboard art has become very popular. I can say in all my years of chalkboard love I hav never seen anything like this. 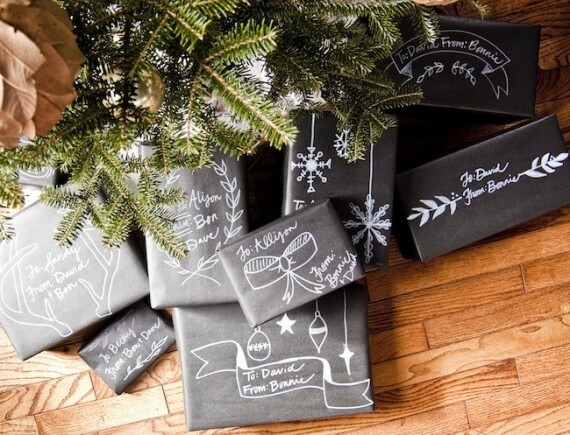 Super cute and super fun chalkboard inspired gift wrap. You can check out how Bonnie turns black kraft paper into chalkboard art Christmas gift wrap and download some fun chalkboard art giftwrap ideas over at Coming Home To Roost.